↑ Hamilton, Alexander (2004). "Foreword". Practical Proceedings in the Supreme Court of the State of New York. New York: New York Law Journal. p. ix. ↑ Owens, Mitchell (January 8, 2004). "Surprises in the Family Tree". New York Times. Retrieved November 15, 2016. While there have been suggestions that the mother, Rachel Faucett or Fawcett—and therefore Hamilton himself—was of mixed ancestry, it is not an established fact. ↑ Brookhiser, Richard (2000). 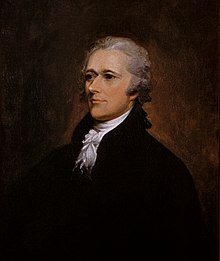 Alexander Hamilton, American. Simon and Schuster. p. 16. ISBN 978-1-43913-545-7 – via Google Books. ↑ Newton, Michael E. (July 1, 2015). Alexander Hamilton: The Formative Years. Eleftheria Publishing. pp. 19–30. ISBN 978-0-98260-403-8.